A load rail is a useful upgrade for any drone without one. 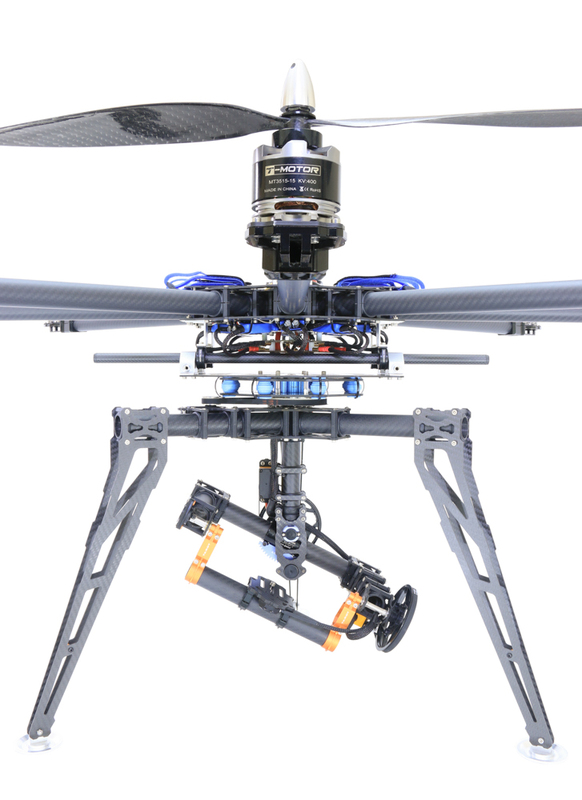 It's designed to let you easily mount, gimbals, batteries and other payloads. You can also position payloads along the rail to optimise the CoG (centre of gravity) of your drone. For instance, you might hang a gimbal / camera towards the front and counterbalance it with a battery further back. This particular load rail is 440mm long, so there is plenty of room to mount multiple payloads. 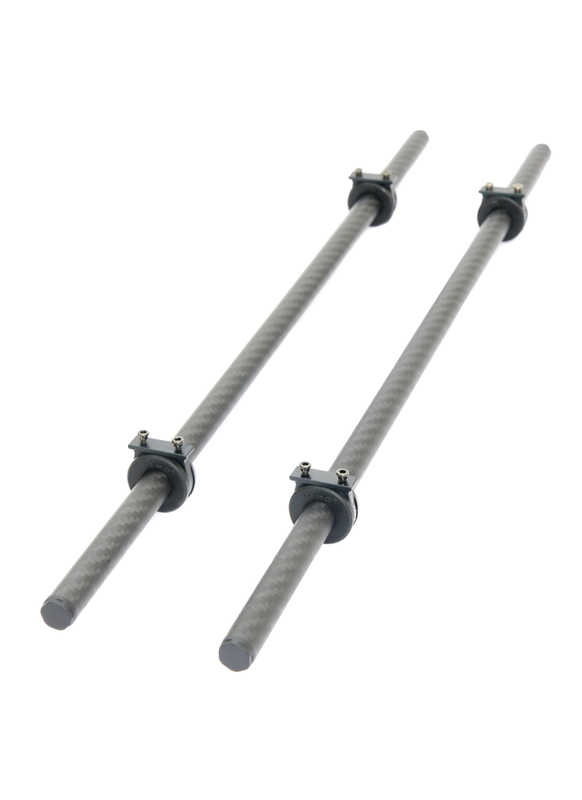 The load rail is made from two high quality, roll wrapped 12mm carbon fibre tubes. Roll wrapped tubes feature multi-axial orientation of the carbon fibres, which gives them uniformly distributed strength. This makes them suited to drone applications where load and forces are multidirectional. They are extremely strong so you won't have a problem mounting heavy payloads. The kit comes with vibrating damping tube clamps and fixings to mount the rails to your multirotor. It's up to you how you space the rails, but 60mm, 155mm and 165mm are common spacing’s for many multirotor accessories. 60mm is compatible with plastic load hangers, while DJI use 155mm as their standard and Tarot use both 155mm and 165mm. We sell a variety of compatible 12mm accessories, ranging from quick release battery mounts to load damping tube clamps and tube hangers - please see 'Related Products' below.